Golden Witch – 30mm Vintage Agate Rings – 5 Pack – Make Guides! 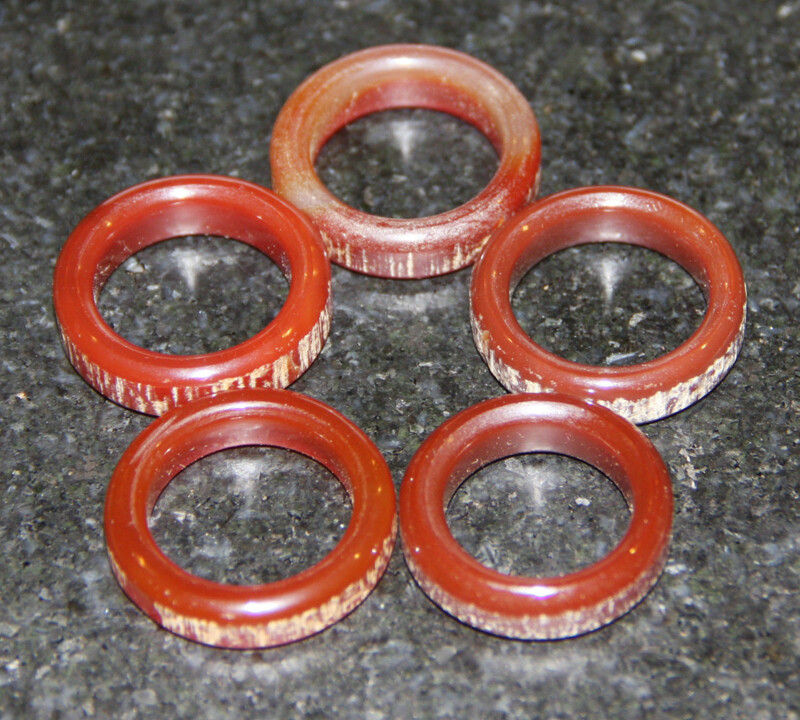 Home	/ Rodmaking	/ Components	/ Guides & Tip Tops	/ Antique Guides	/ 30mm Vintage Agate Rings – 5 Pack – Make Guides! One Pack, Five Rings. Here are five vintage agate rings from an American collection – not sure if the lapidary work was done in the U.S. or in Germany, but the quality is high. These rings lean reddish, but there is distinct and beautiful color variation from ring to ring. If you’re up for forming sheet metal bezels and frames, this could be the start of a wonderful project! Make your own classic wide agate strippers or baitcasting guides. Rings are approximately 30mm OD x 21mm ID x 8mm Thick. We do NOT have more rings of this size/style.